I've just picked up a Cyborg ZR and based on the information on the forums I suspect that it may have oil pressure trouble at higher RPMs. Based on the video, is this generally the behaviour of a low oil pressure problem? 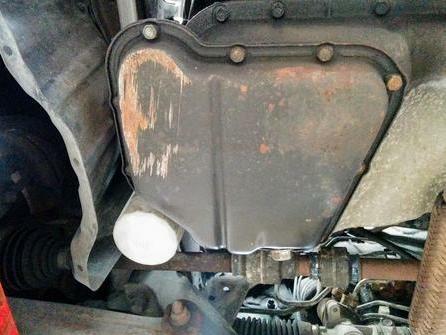 As far as I can remember, the issue with the dented oil pan was the lack of pressure to activate the Mivec solenoid. It's a little tricky to tell from the video (i'm so used to mine ), but are you getting the cam swap at around 5500rpm? Think I can hear a different induction noise around that point - I don't have an aftermarket filter so it's not as noticeable. I'm changing the oil pan today so hopefully that will be the source of the trouble or else I'll need to do a more detailed investigation Before that I topped up the oil a little bit more, seemed to push past the initial 7600 RPM, but still didn't reach the redline. So, I'm hoping that indicates it's the oil pan. Let's see how it goes! Hmm, might go with the gauge first. Yeah thats just straight no mivec at all in either 1st or 2nd, does it do it once first warmed up? i.e. just as the temp gauge gets to normal it'll go really well with strong pull to redline, and then you'll lose it again once its properly nice and hot, or have you just never had mivec at all? My old gen2 rs used todo what i mentioned and I've also had in in a lancer mr and cyborg zr, so i put a oil pressure gauge in and sure enough it dropped from like 70-30psi when the solenoid opened which pretty much pointed to a worn cam tray leaking the oil so it wasn't enough pressure to correctly operate. Cause oil gets thinner as it gets warmer so thats why it gets worse as the motor and oil got to top temp. But thats just one theory, yours could be as simple as the mice solenoid is dead or even electrical like the ecu, first thing ild try is unplug the mivec solenoid and put 12v on it while not running and listen for a click, some people go as far as running it off a switch to test it while driving. Hey mate, thanks for the feedback. I've just never had Mivec at all. Got my oil pressure gauge, just waiting on a tee adapter for the oil switch port. From your description, I'm hoping since I've never had Mivec that it's something a bit easier like the Mivec solenoid or the ECU. Might have a go today at measuring the signal from the ECU. In saying that, whatever it will be - getting parts for this engine is quite annoying! The dent in the bottom gets blamed all the time. If the pickup was blocked and caused oil pressure problems, then the idiot light would come on and you'd be destroying big end bearings. What REALLY happens is that you get sludge deposits in the cam tray.That blocks the oil feed to the plungers. The fix is to remove the cam tray and cams, clean everything properly and put it back together. To diagnose it, hook up a voltmeter to the mivec solenoids so you can see that they DO operate. unplug the solenoid and activate it manually. Got some time to myself to continue diagnosing. Edit: From reading sounds like I need to do the second test with a cold engine. Current diagnosis: MIVEC isn't working due to low oil pressure. Cause of the low oil pressure is currently unknown. Strip and clean camshaft holder, oil control valve, etc. Managed to get myself another 4G92 in case the camshaft holder is the problem. Have a spare solenoid now too. Just going back to the sump dent. I brought a CJ Mirage last week that wouldn't rev over 7000rpm, checked the sump which had a slight sent so thought I'd start there been a easy job and was changing the oil anyway. Once the sump was off there was a clear imprint of where the pickup was touching the sump! Hammered it out and wow no problem revving out to red line! Give it a go if you haven't already. Cheers mate, might have to pull it off and have a look. What did you end up getting? Was it on trademe? We should have a meet up I think we're the only active members rofl. No worries, I didn't think it would fix the problem until the sump was off and saw it was touching. It's a CJ hatch, picked it up quite cheap through a guy I know that used it for a couple hill climbs. I didn't even realise mivec wasn't working properly until I was driving it home... oops. Yea it doesn't look like much has been posted on these pages for a while, maybe all the og members card have died haha. I'm planning to use mine for Track days once I've tidied up a few things. Yip, take the pan off and either hammer gently. Or snip a slot up the side of the pickup so it can never happen again. Don't worry about a tee in oil line, you don't need one while you have the gauge for testing. Think it's about 60-80 psi non mivec and over 100 with it. My RX was reading off the gauge I had. Oh, it's definitely not the pan. I replaced it with a new one. I want to see what diagnostic codes are showing. The car is a 1995 model, I'm assuming this won't be OBD2? I tried using an OBD2 connector I have but it didn't seem to work (have tried it in newer cars).